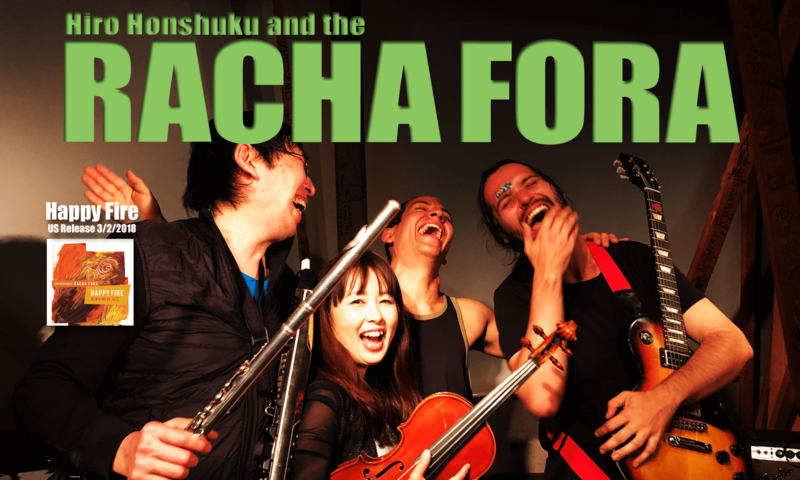 Racha Fora is a unique 2+2 format, 2 front lines are formed by Honshuku on flute/EWI and Rika Ikeda on violin, and the second line , the rhythm section is formed by Andre Vasconcelos on guitar and Sebastian “Cbass” Chiriboga or Harvey Wirht on cajon and percussion. There is no bass player nor drummer. The continuously driving cajon and percussion produce varieties of Brazilian rhythms. When the guitar that suggests Miles’ Agharta era faces Honshuku’s and Ikeda’s front line, a surreal sound image is produced and gives a totally new sound to the familiar standard songs. A beautiful sound of “Nem Um Talvez” composed by Hermeto Pascoal on track 9 seems to be the key to this album. Hermeto joined Miles’ “Live-Evil” (1970) and wrote this piece as well as “Little Church” for Miles. A box set of this session was released later and 4 more tracks by Hermeto were released. 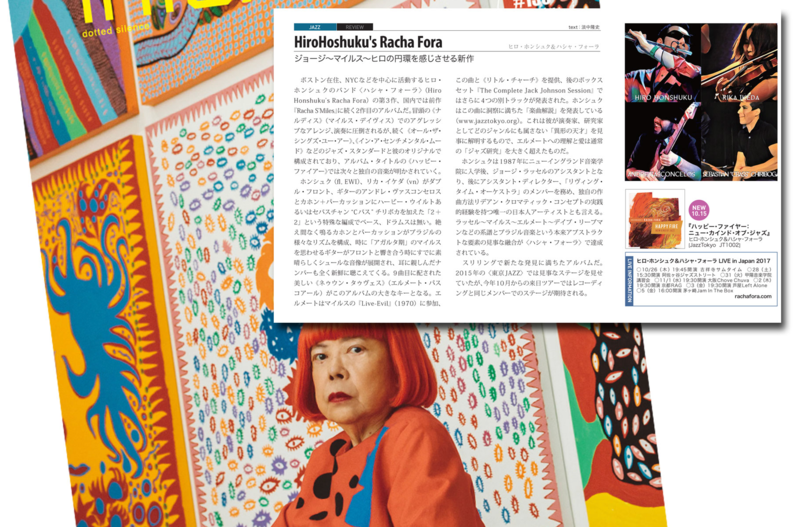 Honshuku has published an insightful analysis of this piece (www.jazztokyo.org). It shows Honshuku’s, as a performer as well as a scholar, deep understanding of and love for the genius Hermeto who does not belong to any genre. The article is well beyond an ordinal jazz study article.